Kilim Earrings: 9'11" x 8'11"
Size in feet9' 11" x 8'11"
Earrings were considered as indispensable as a wedding present in ancient Anatolia (present day Turkey). According to legend, it is said that a girl using this motif is trying to inform her family that she wants to get married. 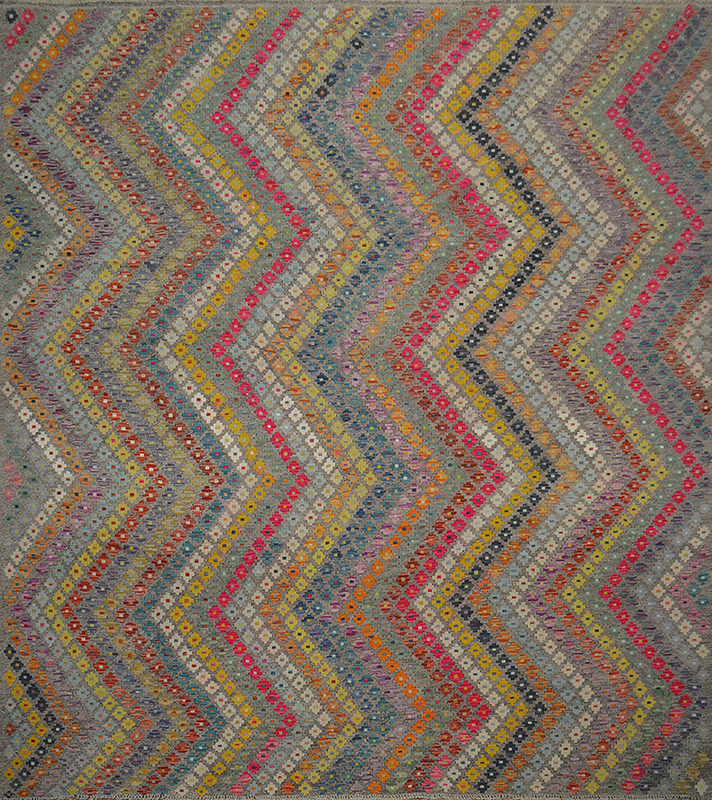 "Kilim" is a Turkish word used when referring to carpets that have been interwoven by hand using wool pile. 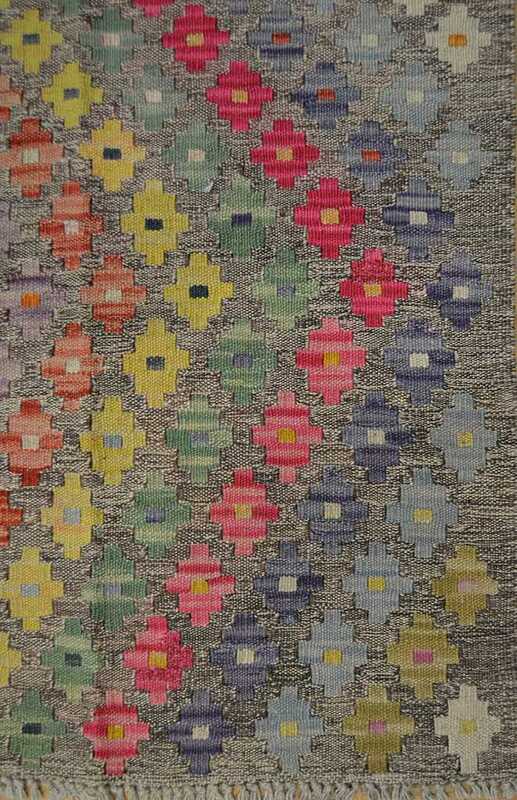 As a result, Kilims appear less fluffy than hand-knotted carpets. Some experts claim that these types of carpets were originally made by southern Tunisians and that the craft has since spread to nomads located in Turkey, Irak, Iran, Pakistan, China, India or Morocco. Other experts believe that their birthplace is in the Near East and South-Eastern coast of Europe (Albania, Bulgaria, Bessarabia). Their major factories are found to be in Anatolia, Persia and Caucasia. 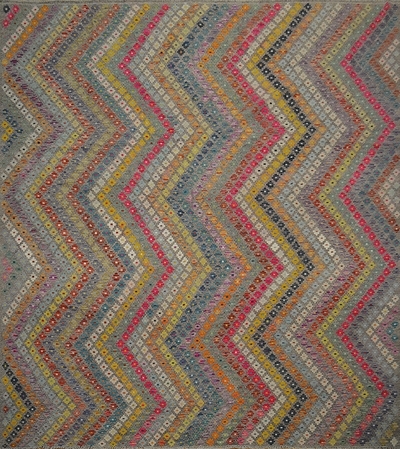 Historical research reveals that Kilims have traditionally occupied different functions in time. In certain cultures, they were given as a dowry gift to future brides and held the same important standing as household linen. In other contexts, they served as a bedding area for camels. 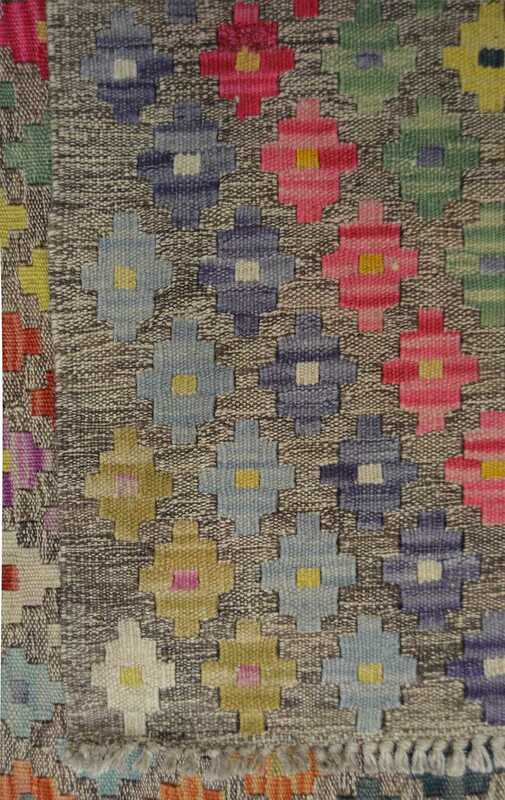 Nowadays, we can find Kilims on a homes hard wood floor or even hanging on the walls of homes as pieces of art. 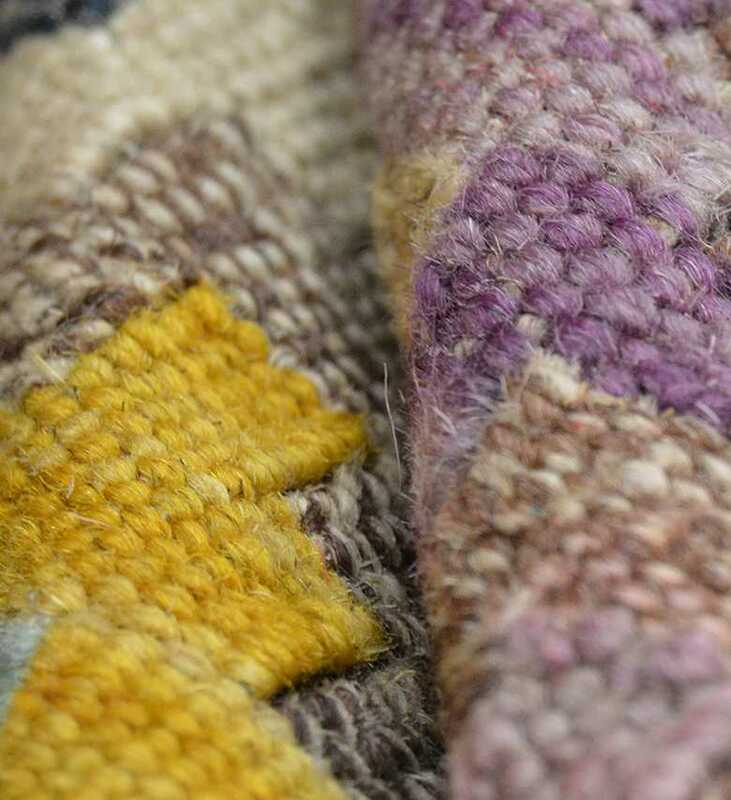 Kilim carpets are fragile because their structure, as their weaving techniques, is very simple: horizontal thread weaves alternatively go above and under the vertical thread chains. After every new pick, the thread weave sequence is reversed. Since the thread weave is paused at every color change, one can spot little gaps between the colours. This is a common characteristic of Kilim carpets.